Andrew Will Winery was started in 1989 and is owned by Annie and Chris Camarda. 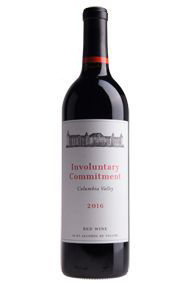 The winery was launched out of a love for wine that Chris had developed while working in the restaurant trade for almost 20 years. 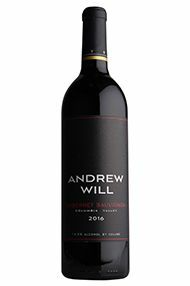 Named after the Camardas’ son Will and nephew Andrew, Andrew Will has been a major contributor to the success and notoriety in recent years of Washington State wines. Initially, the winery consisted of 900 square feet of rented industrial space in Seattle. 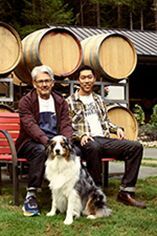 In 1994, the Camardas moved to Vashon Island, a short ferry ride from Seattle, where they built the present winery. The fruit, however, comes from the mainland, across the Cascades in eastern Washington, where all the significant vineyards lie in the rain shadow of the mountains. Klipsun and Ciel du Cheval vineyards are adjacent on the loam and gravel soils of Red Mountain but produce different styles of wine. Klipsun makes massive, opulent wine to appreciate early. Ciel du Cheval possesses a slightly more tannic structure and great ageing potential. Sorella is a classic Bordeaux blend, made up with mainly Cabernet Sauvignon from Mercer Estate, along with some Cabernet Franc and Merlot from Ciel du Cheval, with the exact blend varying from year to year.